What better way to inspire your classroom, staff or clients to take care of our marine environment then by getting them out on the water! 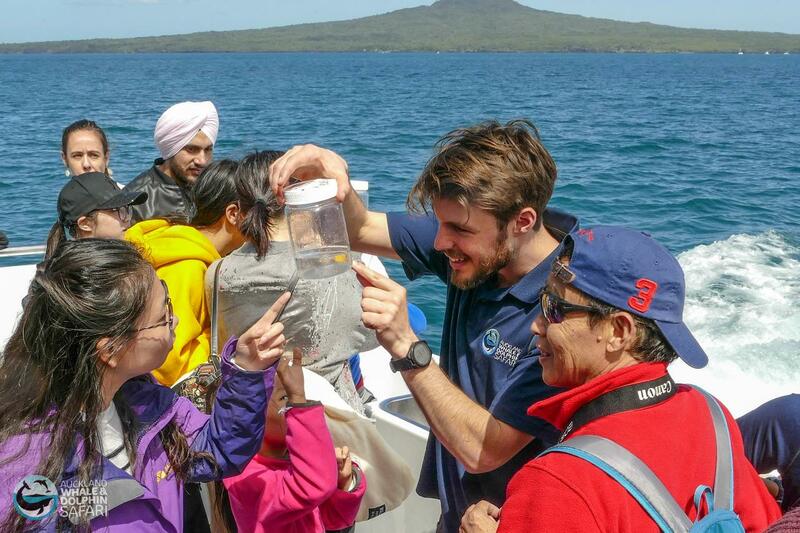 Join our passionate marine-scientists for expert education and interactive research studies as we head out on the beautiful Waitemata Harbour. School groups studying conservation/sustainability/pollution in NZ waters. Private charters are typically unavailable between 12:30 – 7. This may be negotiable depending on timings and existing bookings. A surcharge applies for any charters affecting our standard safari. Shorter (Inner Harbour) cruise options are not designed for the purpose of whale or dolphin watching.